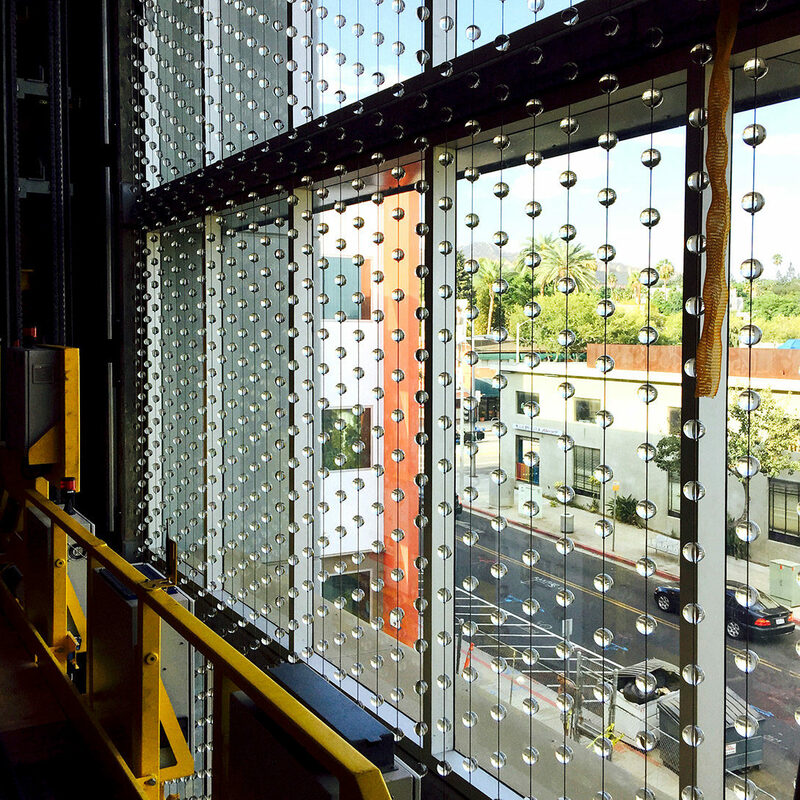 The artwork, which evolved through a collaboration with the architect, Rick DAmato, consists of a large curtain of 2-inch diameter glass marbles that hang on cables behind the glass curtain wall of the building. 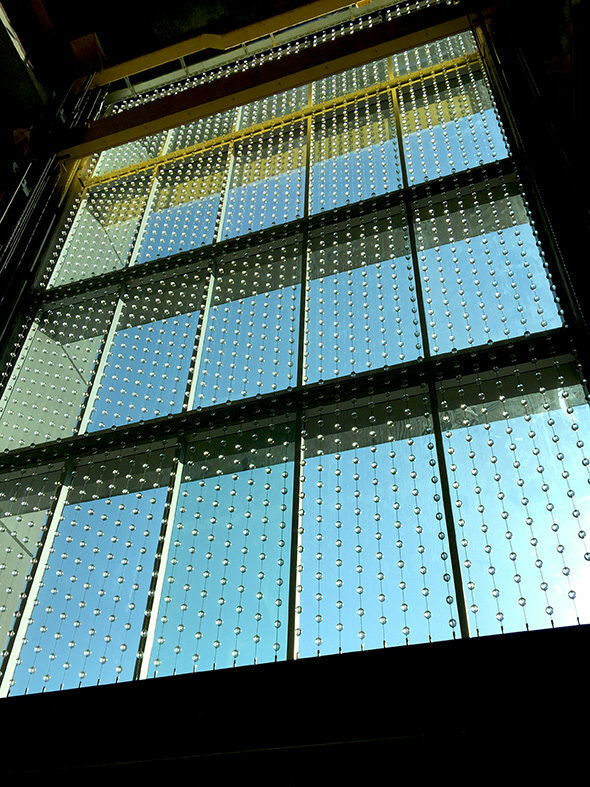 The marbles act like lenses, catching light and movement as the robotic elevator moves cars around inside the building. 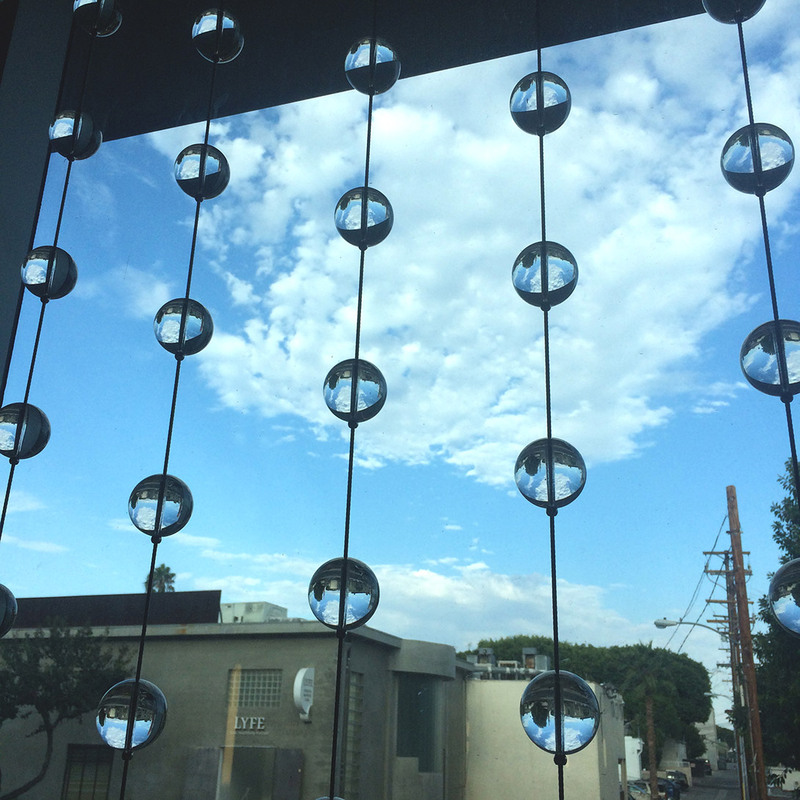 Because the glass spheres flip the images, upward movement appears as downward, and left appears as right. The artwork functions as a register of the complex patterns of movement of the robotic parking machine.